-Hey, I’m a 19 y/o German guy(.06.1998).I live near Hamburg and I’m currently in my 4th semester at University (B.Sc. Mathematics). Back in WotlK I played on a private server, played very little of Cataclysm and MoP on retail, then started playing regularly with the launch of WoD and have been actively raiding in mythic guilds since Legion. Besides playing WoW i like playing League (of Legends) as well as watching seasonal anime or any half decent show on Netflix. I’m a very active discord and teamspeak user, talking with friends while playing things like league is way more fun after all! 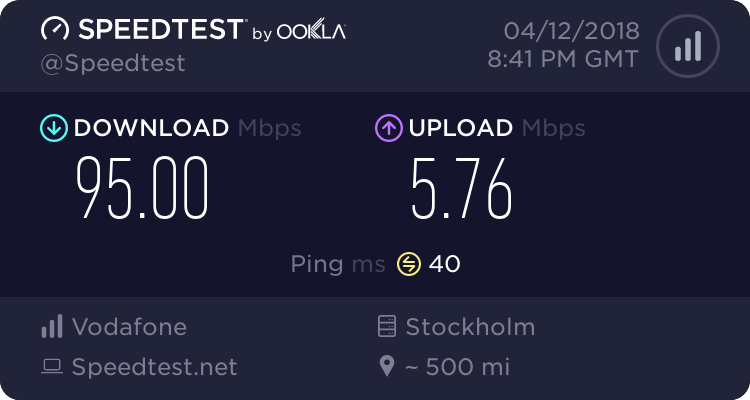 -why stockholm though, are the EU servers located there? -I use these weights to quickly check for potential updates during raids. -if circumstances allow for it or we are talking trinkets or tier pieces(RIP tier pieces in BfA) i use simc and compare the pieces that way. -I use the simc weights because following any sort of “priotities” ala Stat X >= Stat Y > Stat Z may be good for people who arent comfortable using SimC but arent the least bit accurate due to the fact that statweights always depend on the actual stats your character has and of course on class specific breakpoints, if those exist. For pure St fights, that are as close to patchwerk as possible, this build has been the go-to since ED(legendary helmet for balance druids) has gone out of favor and OI(bracers) took it’s spot. It isn’t well suited movement that is longer than ~GCDs or that happens in too quick succession. Because most fights in Antorus can be described as such, or are cleave/AoE oriented this build is rarely used. which uses Starfall instead of Starsurge as a spender(and other legendaries) thus dramatically increasing mobility due to the Stellar Drift talent(lvl 100), which allows for casting while moving if you are within starfalls radius. It’s performance, even in patchwork, is really close(95%+) to option 1 depending on gear and especially the availability of high iLvl T20 pieces(which are pretty much required for the success of option 1). if you get huge gains from having incarnation LatC+SotA can be a good choice for AoE encounters. It’s also a decent contender for Cleave/AoE fights because you are using starfall as a main spender anyhow. It trades add damage for a decent increase in boss damage. Im constantly in touch with all the druid theorycrafters on the druid discord server“Dreamgrove”. I have been a regular in that discord since the very beginning of legion and do contribute in balance TC discussion on there as well as in the balance TC discord server. -8/9 in ToS, multiple sub 5% wipes, attend the entire progress. -5/11 Antorus so far, a couple dozen tries on imonar with current guild. The guild born from the people left by the two guild that still wanted to progress. Had major attendance problems throughout ToS. These problems together with the spontaneous disappearance of our raidlead managed to almost kill the guild yet again. I as well as most of the people that came from Amplify stayed and tried to build up the guild once again. I’ve now, at last, decided to leave the guild because of the huge struggle to get members to attend raids and commit to a guild-chosen schedule as well as the lack of progress caused by replacing the vacant spots of former decent raidmembers with mediocre people we needed be able to raid in the first place. I expect a motivated group of good players that want to clear the raid in a timely fashion. You can expect a well prepared and informed player that has high attendance and performance. As my current guild is already struggling to get members to attend raids and i dont wanna kick them in the curb, I plan on leaving them/start any potential trial period on/around May 1st. I hope this doesnt pose a problem.